Al Deyafa Hotel Apartments 3 Dubai - Dubai Hotel Located in Dubai City Centre, Dubai Shopping Area and Dubai Business District! Our luxury apartments comprise of spacious two bedrooms, each apartment containing a living and dinning room, and fully equipped kitchen. Al Deyafa Hotel Apartments 3 Dubai are ideal for tourists targeting a prolonged stay in this emirate. 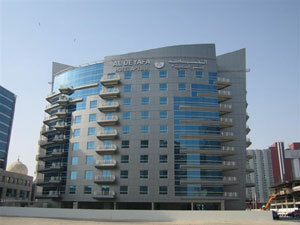 Al Deyafa Hotel Apartments 3 Dubai comprise well furnished rooms for stay. These luxury apartments include two spacious bedrooms, living and dining room and an adequately equipped kitchen. Facilities like cable television, air conditioner, direct dial telephone, large bathrooms with lavish fittings, work area, etc are also made available to guests staying at Al Deyafa Hotel Apartments 3 Dubai. Guests of Al Deyafa Hotel Apartments 3 Dubai are spoilt for choice as far as dining facilities are concerned. Offering a wide array of international cuisines and the mouthwatering local food of Dubai, the in-house restaurant of this Deira Dubai hotel apartment comes up with a good variety of culinary delights, catering to needs of travelers from across the world.